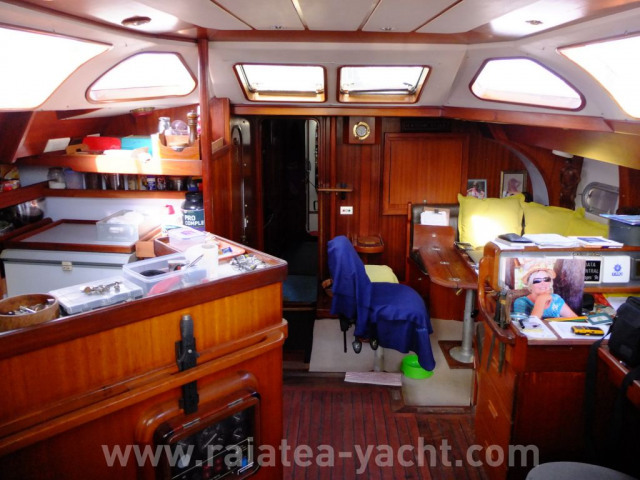 Large living area, stable at sea. 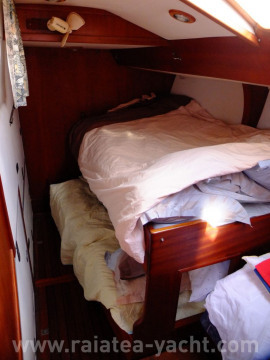 Easy to live with 6 passengers on board all over the world. 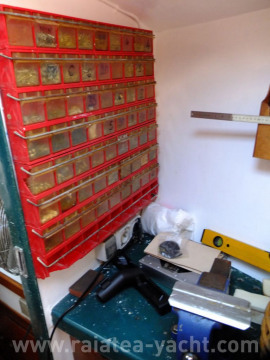 Workshop in the fore bow compartment (workbench, vice, storage). 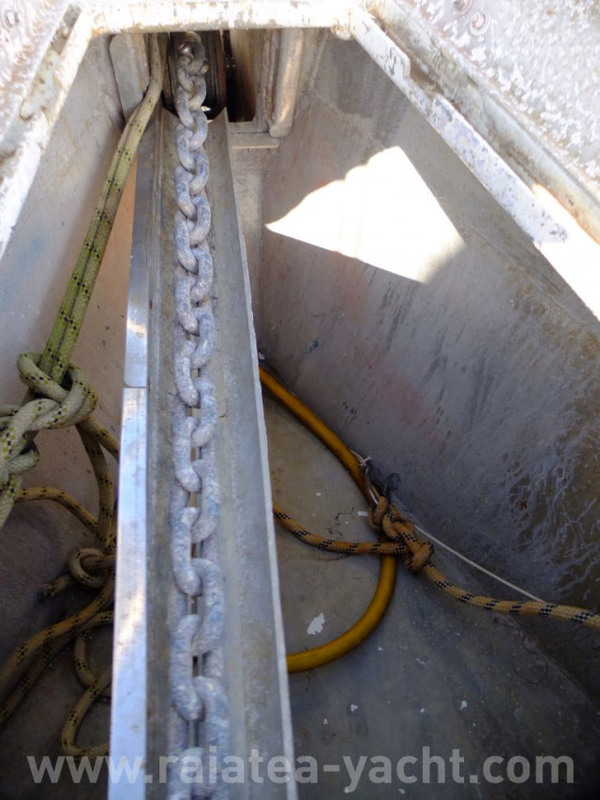 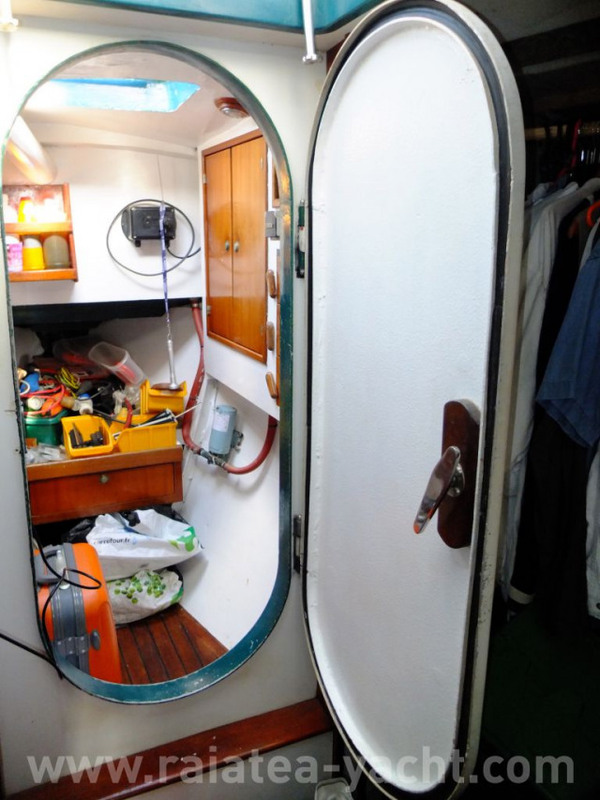 Watertight door. 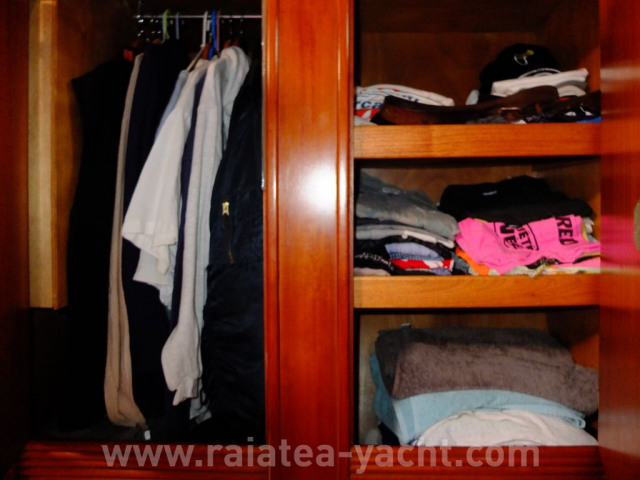 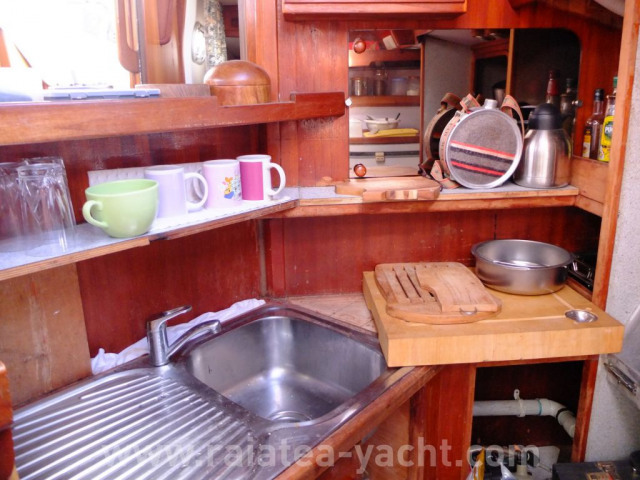 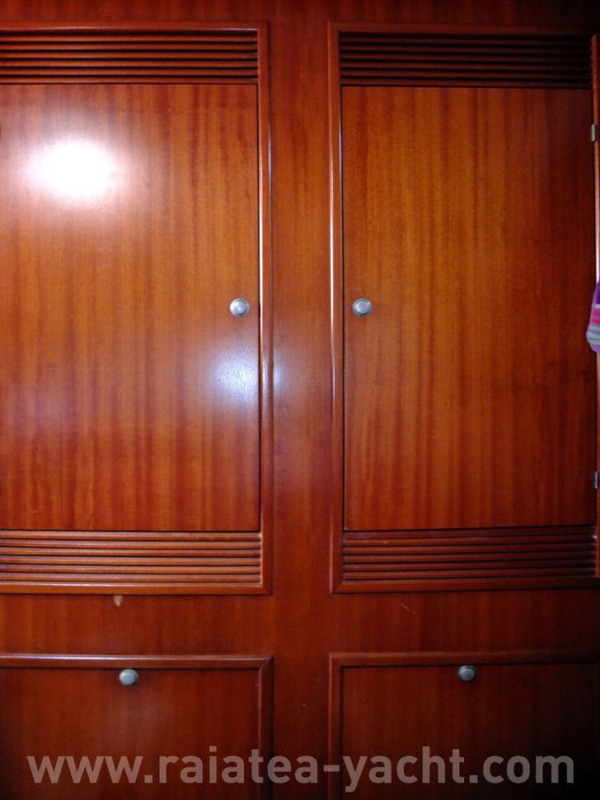 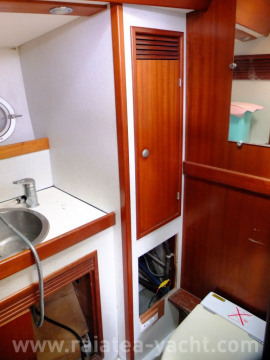 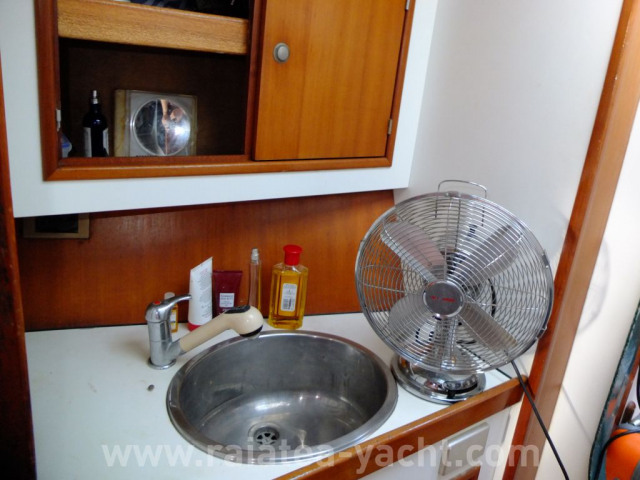 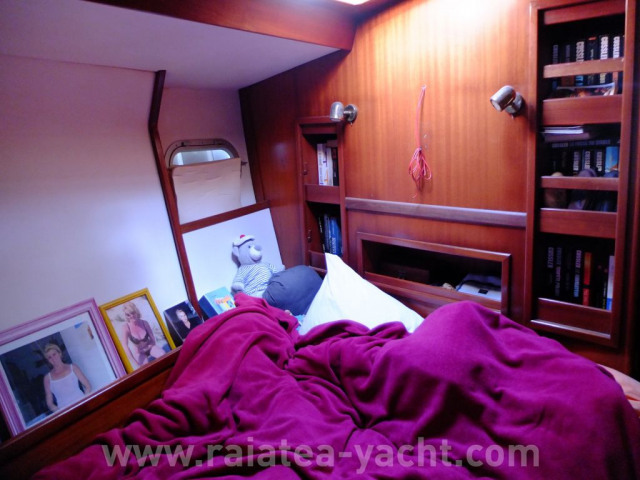 Double cabin fore with heads (shower and toilets), library, wardrobe, and numerous cupboards. Watertight door. 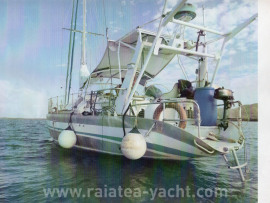 Aluminium centerboard built in France (Nantes) in 1994 by ALU-MARINE shipyard. 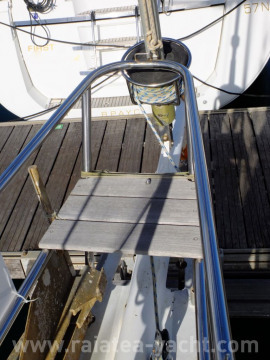 Retractable centerboard, three rudders. Owners version design for 6 passengers on board. 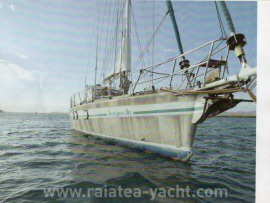 She sailed around the globe and is currently based in New Caledonia. 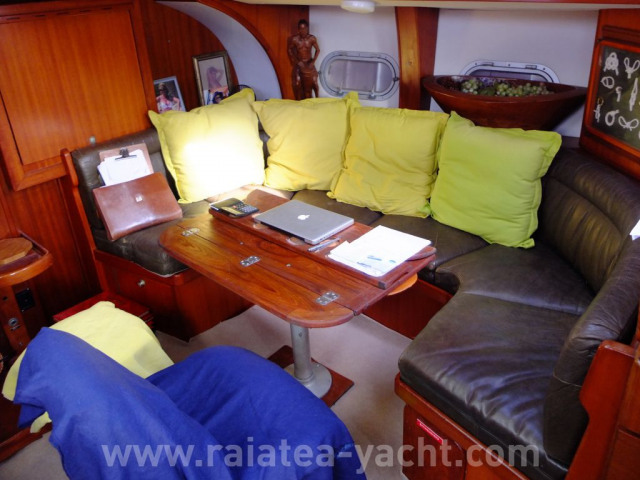 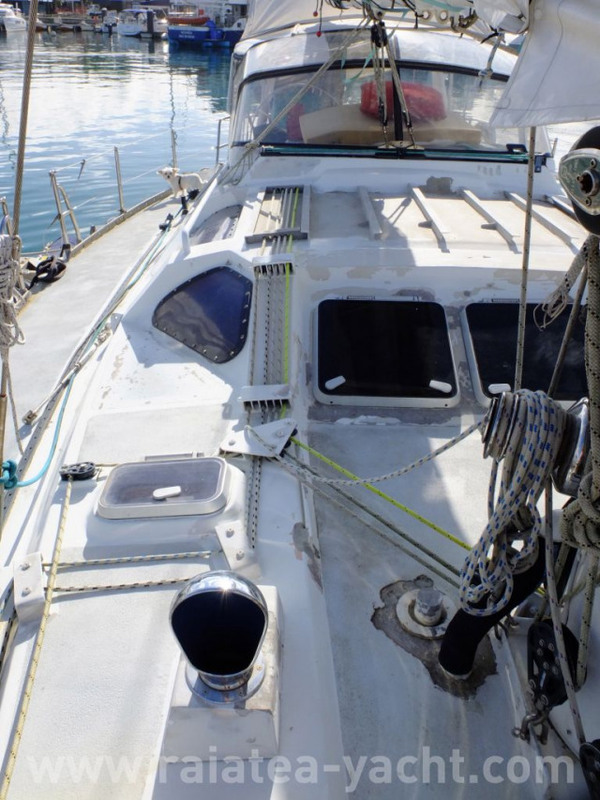 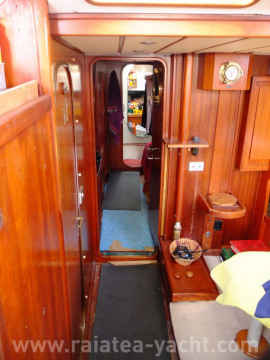 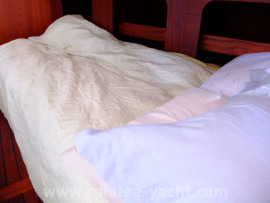 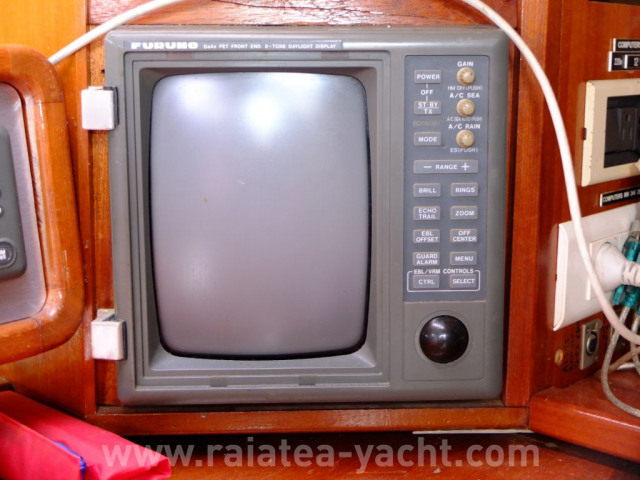 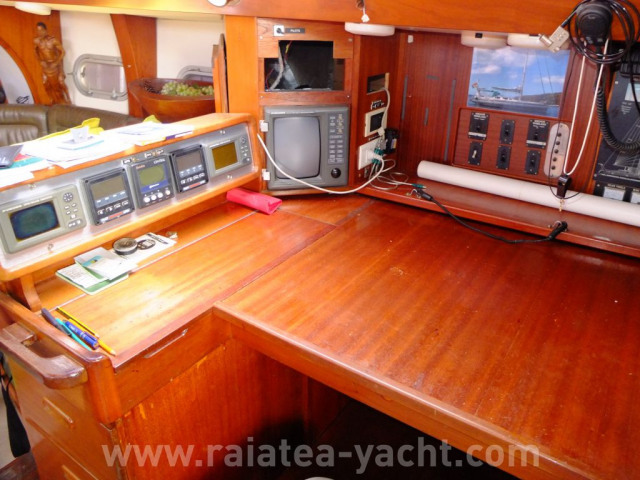 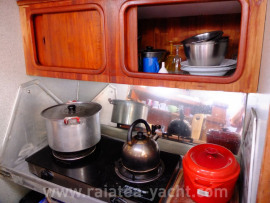 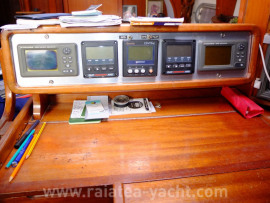 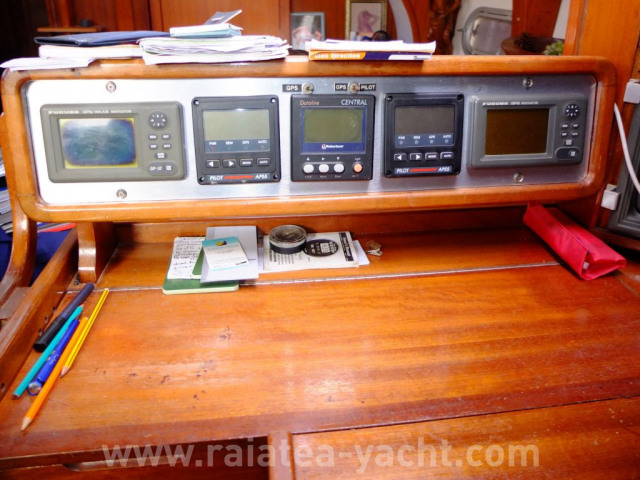 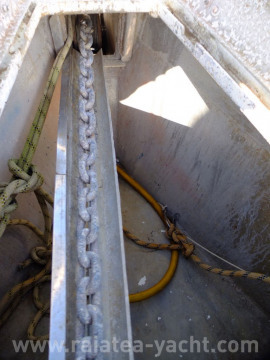 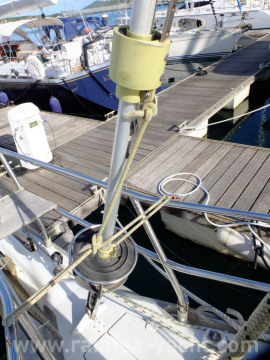 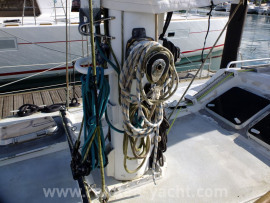 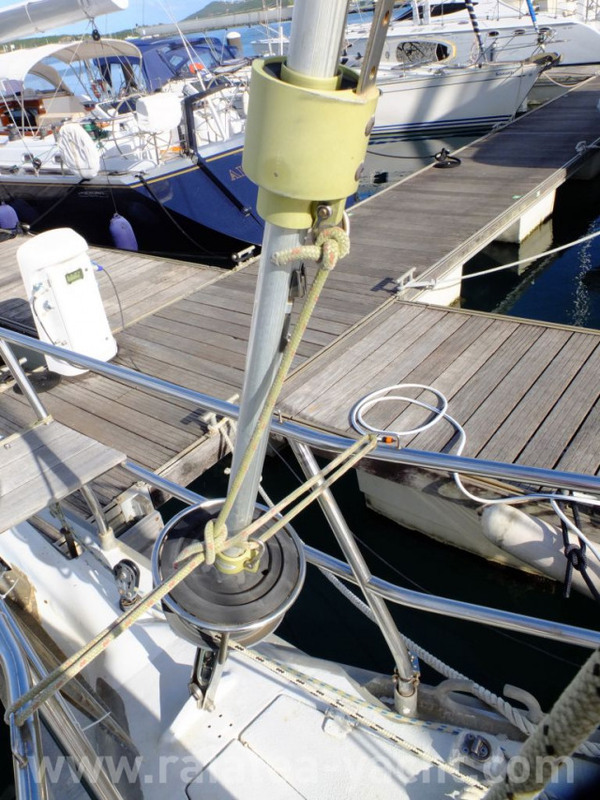 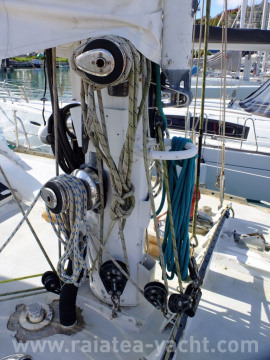 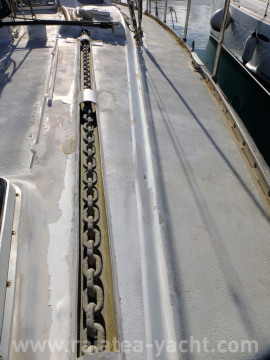 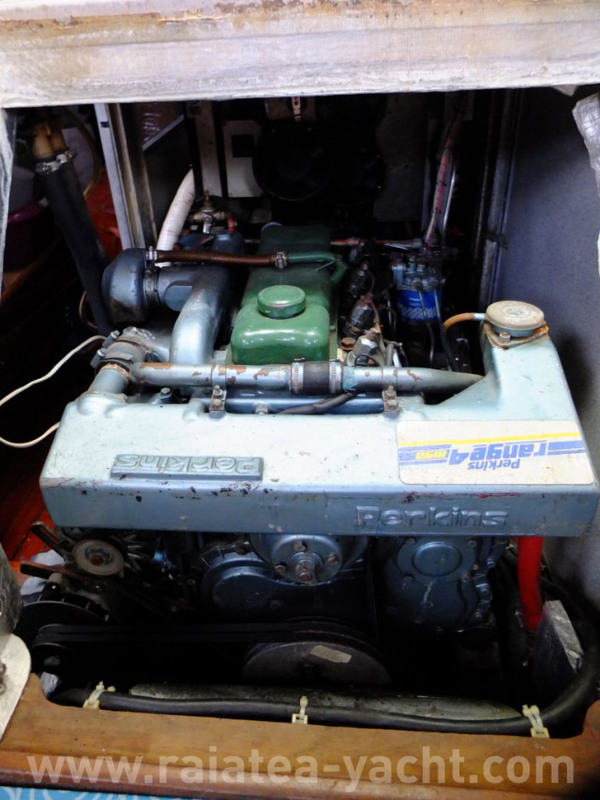 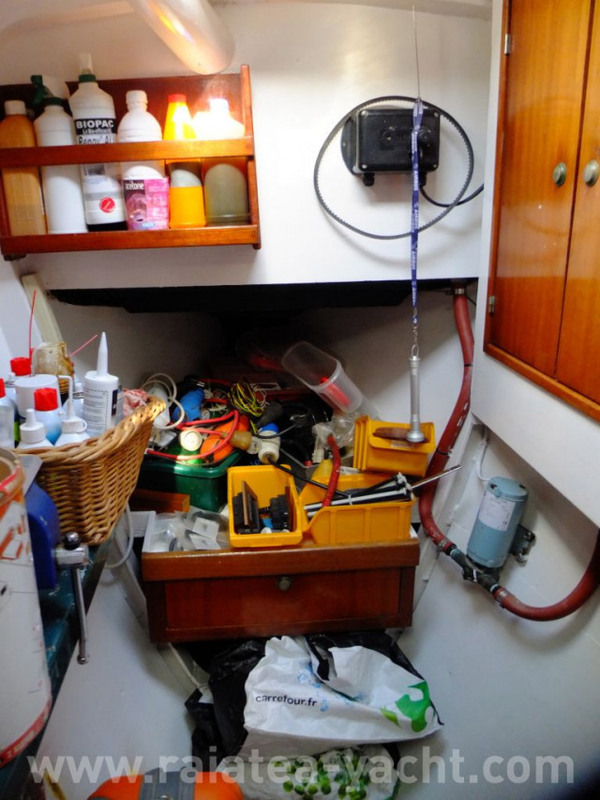 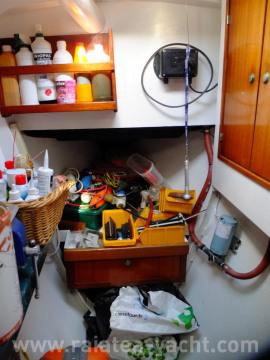 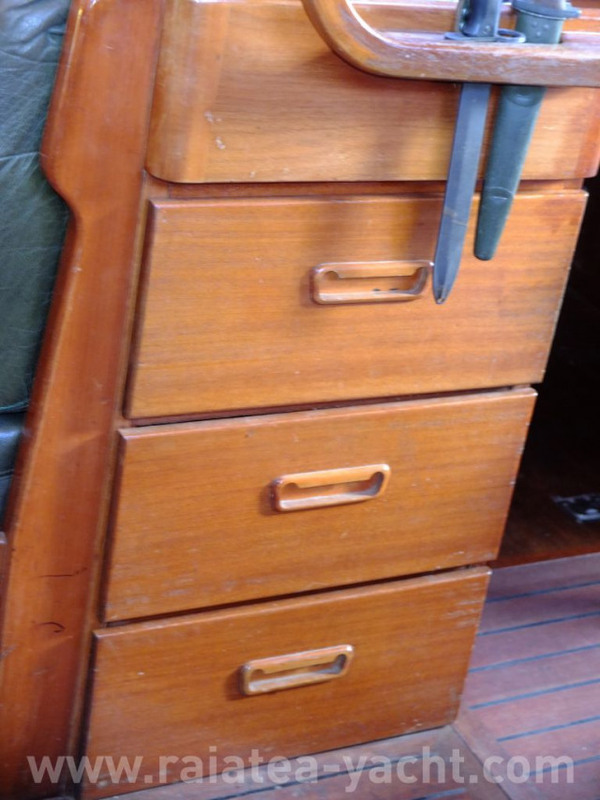 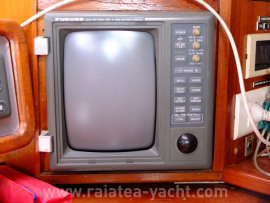 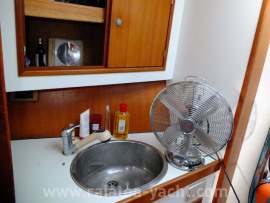 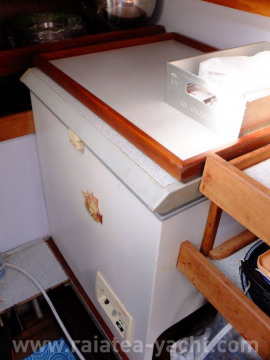 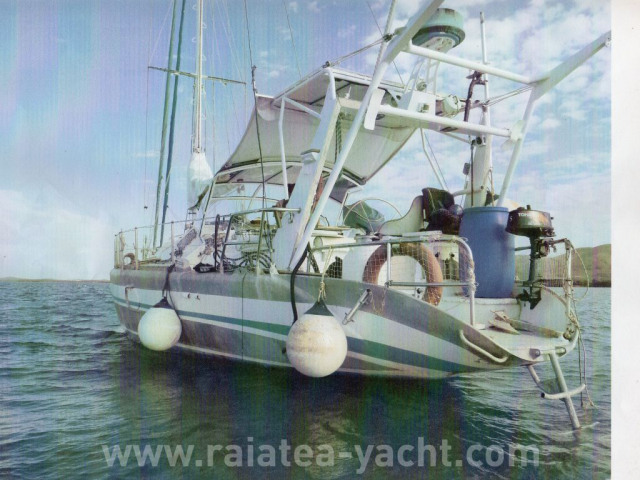 Safe and comfortable boat, very easy to live aboard, regularly maintained.